On October 2, 2007, ThinkTank Holdings LLC (founded by Scott Blum, located in Jackson, Wyoming.) announced a new Patent Pending (filed 2007) Credit Card Venture titled “Next Card“. The concept for “Next Card” was simply for a high-end/luxury credit card made from a special carbon/carbon based material. Concept from inception was that this card would be available to corporations and individuals for an annual fee of $495, it was also anticipated that the card would launch with typical luxury card services such as 24-hour concierge, points and rewards program, as well as other benefits. “The whole purpose of this card is to take share from American Express,” said James McCarthy, Visa senior vice president for consumer-credit products. They may be a ways away, according to a 2007 survey in Europe, Centurion cardholders spend 11.5 times more (see demographics) than the typical American Express card member, and on average have income in excess of 1M a year. 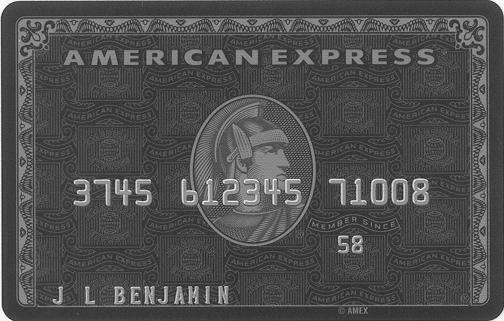 Combine urban myth and Black Card allure with Visa salivating over American Express and Centurion Card premiums and what do you get? 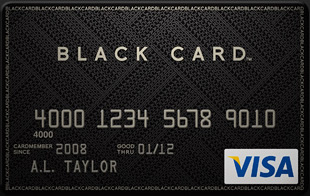 The Visa Black Card. In our initial comparison of the Visa Black Card and American Express Centurion Card we observed that luxury plastic is no longer, well, plastic (although it sure seems that way); The question still remains how truly exclusive the Visa Black Card is? Time (and our readers) will tell, but as stands, 1% of the population is somewhat “undefined” other than by credit record, and other private information (Barclay’s has yet to clarify what this actually means), while American Express has some hard limits, e.g. you have to spend $250,000 on a Platinum Card to qualify, no getting around that. Outside of exclusivity, luxury credit cards aim to offer “new levels of service” for their “elite clientele” while providing “unique experiences” and unusual “discounts and amenities“. Below, we’ve put together a detailed comparison chart of the Visa Black Card compared to American Express Centurion Benefits. What stands out most is the automatic membership and hotel/airline elite access gained with the Centurion Card, which is nonexistent on the Visa Black Card; Of course, the Visa Black Card only runs $495 a year, compared to the $2500 a yearfor the Centurion Card. 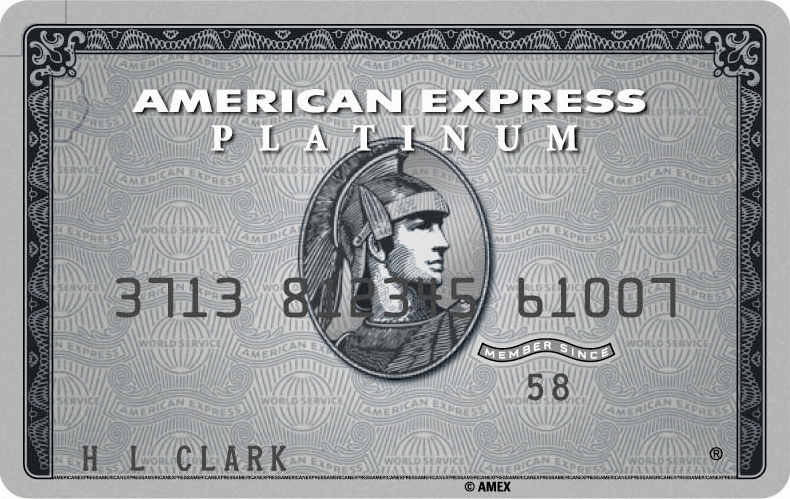 At current it appears the Barclay’s Black Card is sorely lacking in many areas where American Express is not, and the card itself is more comparable to the American Express Platinum Card ($450/year membership). *We are not fully aware of all Visa Black Card services offered quite yet, and will update as we learn more as our readers get the card and submit info.